The title of the 2014 edition of Modebelofte – ‘Seductive Precursors’ – underscores the importance of the pioneering creativity displayed by these talented designers. 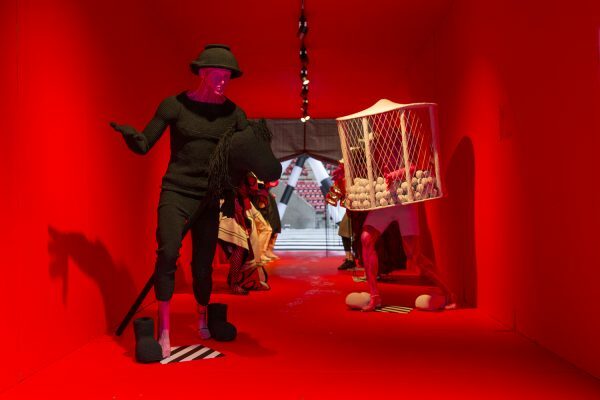 By experimenting, intuitively and conceptually, with techniques, materials, shapes and references they seduce us to immerse in their visions of possible fashions for a moment. Seductive Precursors play an important role in fashion’s characteristic dynamic of perpetual renewal by convincingly connecting the familiar with the unfamiliar. The selected designers challenge us to consider our contemporary sense of self and our ideas about the wearability of objects in a progressive, fictitious or futuristic perspective. 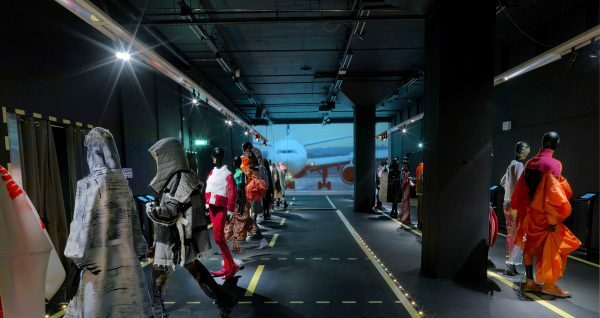 The exhibition staged a selection of young fashion talents from all over the world. 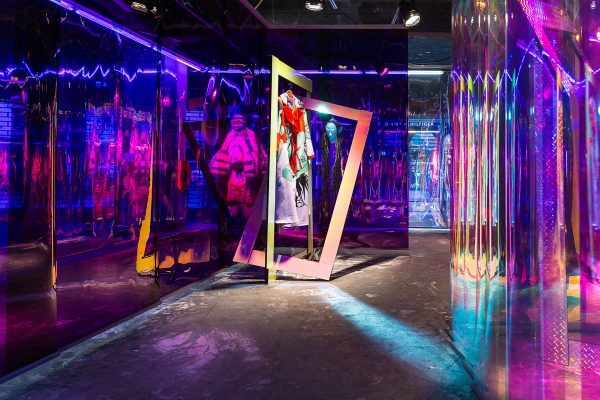 In an abandoned – slightly notorious – disco club a spectacular show was put on, it combined fashion with strong scenography and an educational message and became a stylish counterpoint during the seven days of the design week. In the abandoned disco, with nothing but a blank space to customise, Studio Harm Rensink and HeyNiek chose to use floating mannequins in a combination of black walls, directional light and a touch of white dust emanating from the granulated white floor to create a Tim Burton Corpse Bride goes clubbing atmosphere. 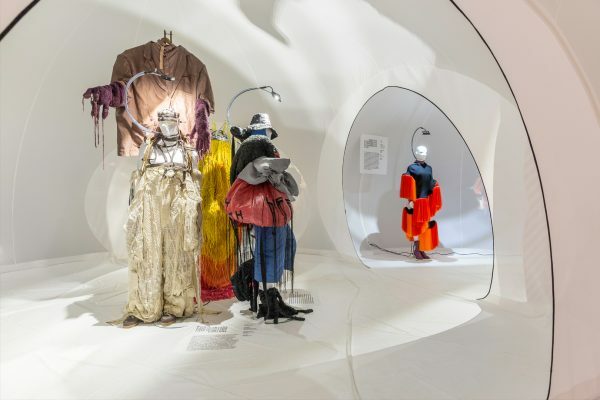 By confronting the visitors with garments that adhere to strict guidelines in the use of materials, patterns, techniques, and the artwork attached to them, the selections of the graduates’ work highlighted itself as the year’s national fashion event.